Isaiah is reminding the people of everything GOD had done for them in the past in verse 16-17. 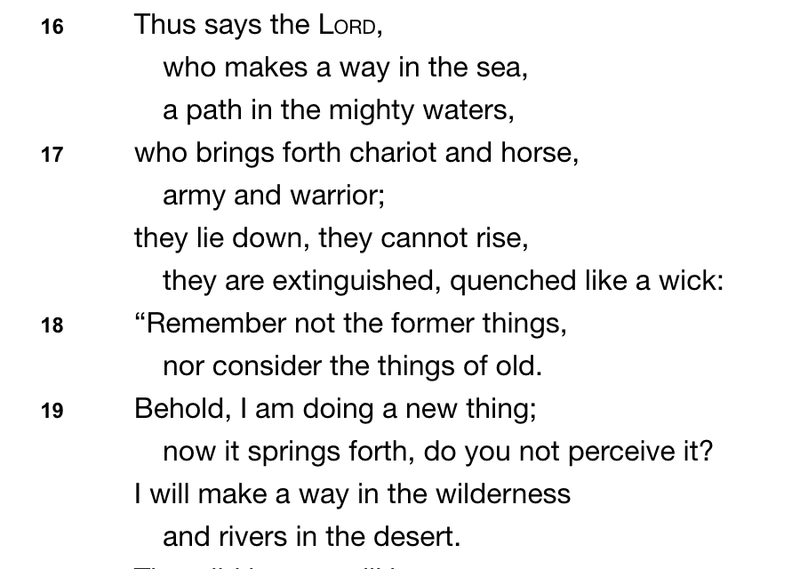 Then in verses 18 and 19 he tells them to forget all of that because GOD is doing a new thing. He is making a way in the wilderness. 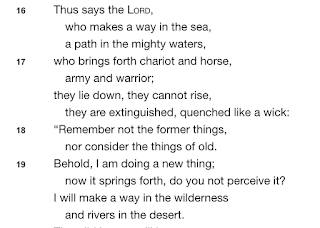 He is making rivers in the desert. Not really fun places. Not really hot vacation spots. But, it's where GOD is working. Pastor Paul said it best, it's where "burdens become blessings". I immediately thought of B's autism. I decided that B was autistic way before he was diagnosed. I had picked him up from pre-k and he was playing on a swing. He didn't want to leave. He cried the whole way home (about 20 minutes). I sent him to his room to cry. He fell asleep. I remember sitting on his bed and praying over him. He woke up while I sat there. I thought, oh good, we're all done. Nope. He started crying about swinging again. He was stuck. It was all he could think about. I had been reading something about autism (I read so much at that point that it all runs together) that helped me formulate a theory about B's mind. It's like an old vinyl record. It's spinning really fast. And sometimes the needle get stuck. He needs help moving the needle. Around this time I saw a quote that said autism isn't a defective mind, it's a whole different operating system. That helped me as well. I came to understand that B is just different. Not bad. Just different. Different challenges. Different triumphs. GOD has brought some many blessings to our family and others through B. He has truly done a new thing through him. But, He had to change my mind about the desert. 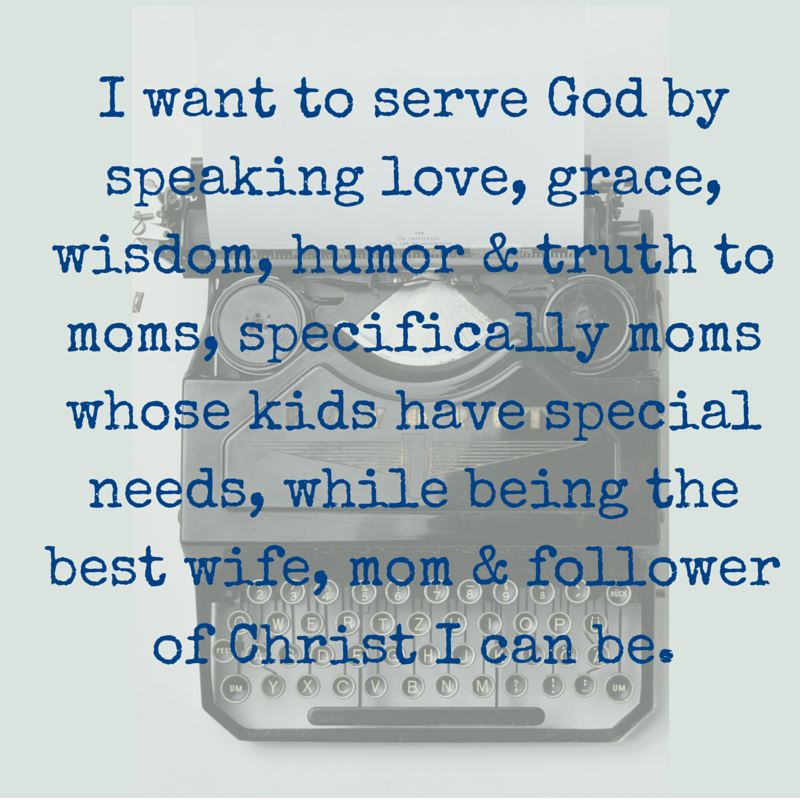 When I changed how I thought about autism, I could see and unleash the blessings of B. And I'm so thankful for that!